What a weekend find! My first ever piece of pink Pyrex! Woohoo! I never see pink Pyrex in thrift shops or at yard sales, until this weekend. This particular yard sale was one of only a handful being held this day. It was advertised as a moving sale, you know the type: “Everything must go!”. My experience with these headliner yard sales is that people really don’t mean it. They price the stuff they don’t care to pack up and take with them at prices that almost guarantee that this stuff is going along in the moving van. These folks had quite an eclectic assortment and many high-priced “antique” items. They even had a huge wooden carriage. Yeah, it was for sale, too. I wasn’t too confident I would find anything in my price range. And then I saw them. I didn’t really even notice the pink piece at first. I was drawn to the aqua fridgies. There is something about the fridgies that calls to me. 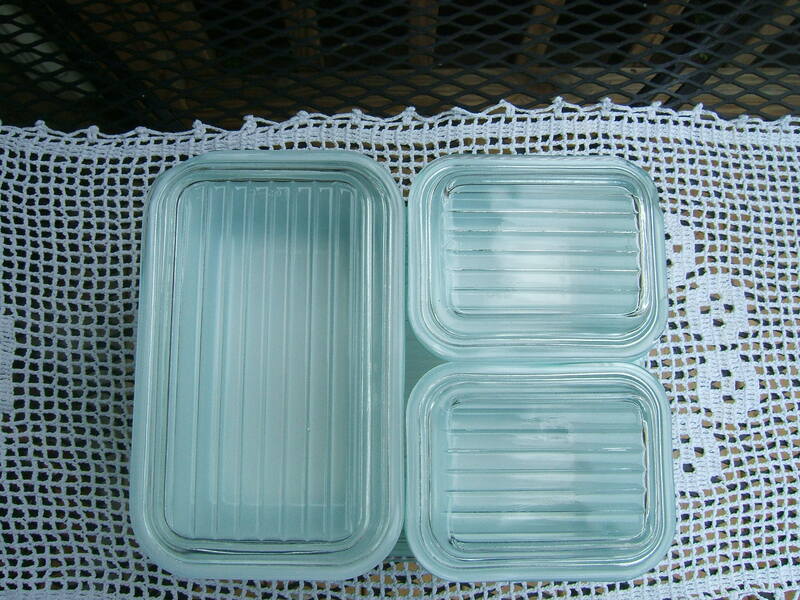 Maybe it’s my long-time love of boxes and containers? I don’t know, but I do love them. I scooped up the stack and hustled to pay for them. Each of these pieces has its lid as well. There are a few chips here and there, but nothing major. I even like the way they look from this angle; very neat and tidy. These colors remind me of the pastels of the beach. Yet another point in their favor! You just never know what treasures you will find during yard sale season. 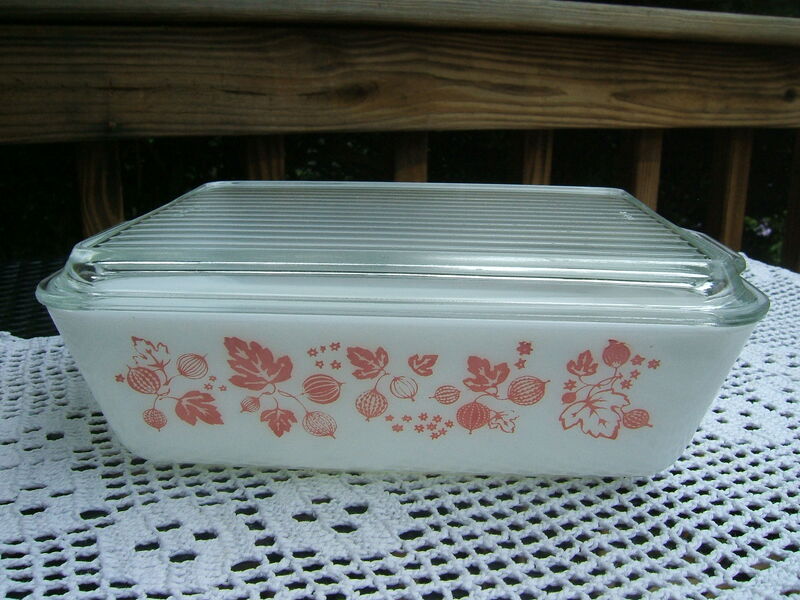 My Pretty in Pink Pyrex was certainly a treasure for me! This entry was posted in Beach, Dishes, Garage Sales, Pyrex, Tablescaping, Thrifting, Uncategorized, Yard Sales and tagged Fridgies, Gooseberry, Pyrex. Bookmark the permalink. I love the Aqua set, it does look lovely at every angle! I saw a pink piece like yours this weekend but it was in such poor condition that I passed on it. You got some lovely pieces. Congrats on the pink find!!! 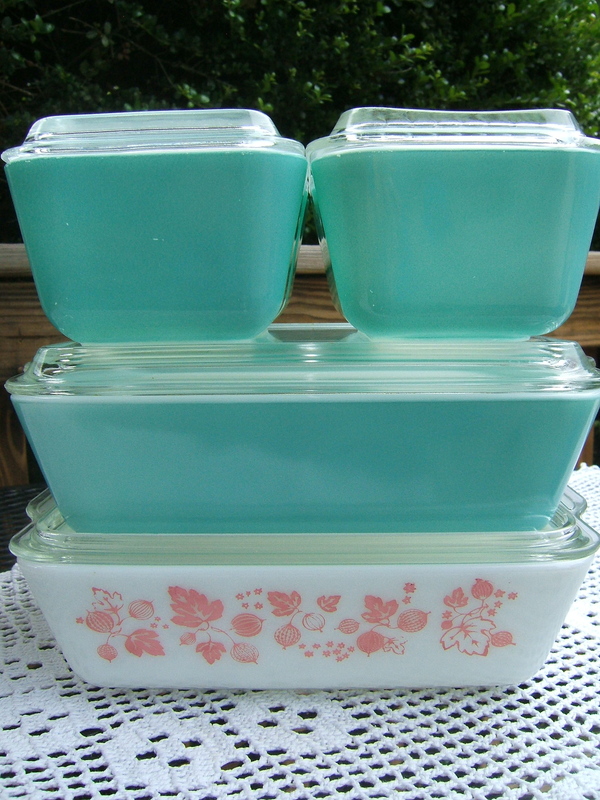 I don’t recall EVER seeing pink Pyrex out anywhere at a garage or estate sale or a thrift store…it really must be fairly rare or people are just hanging onto it for dear life! I love the aqua, too!!!!!!!!! Tammy, I love that you were able to find those! I only came across some at a yard sale last weekend but they were asking such a crazy price. At least for me anyway. Great treasure find!!! I love fridgies too, that was such a great find!! Turquoise is hard to find!! I use mine in the fridge all the time, don’t be scared!! Awesome!!!!! 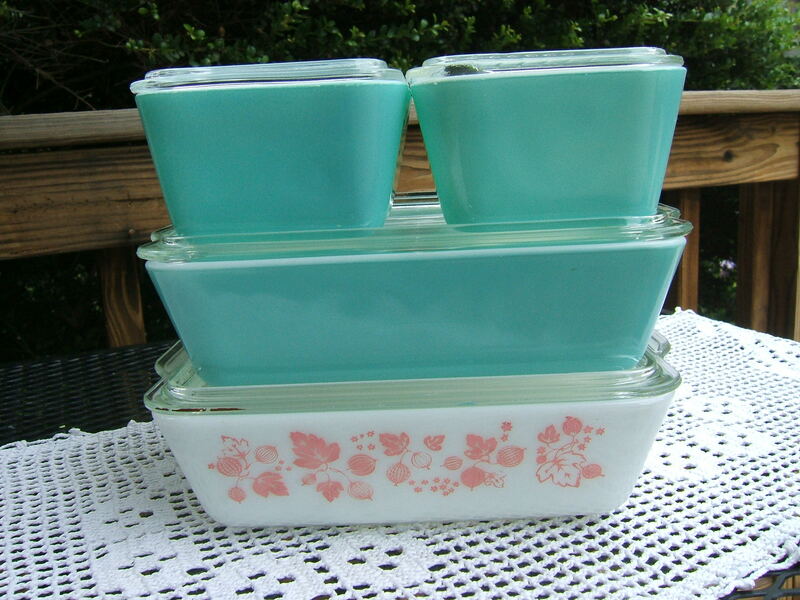 Love the pink and love the aqua, too – that was a seriously great find! I never use my vintage Pyrex, just keep it on display to enjoy. 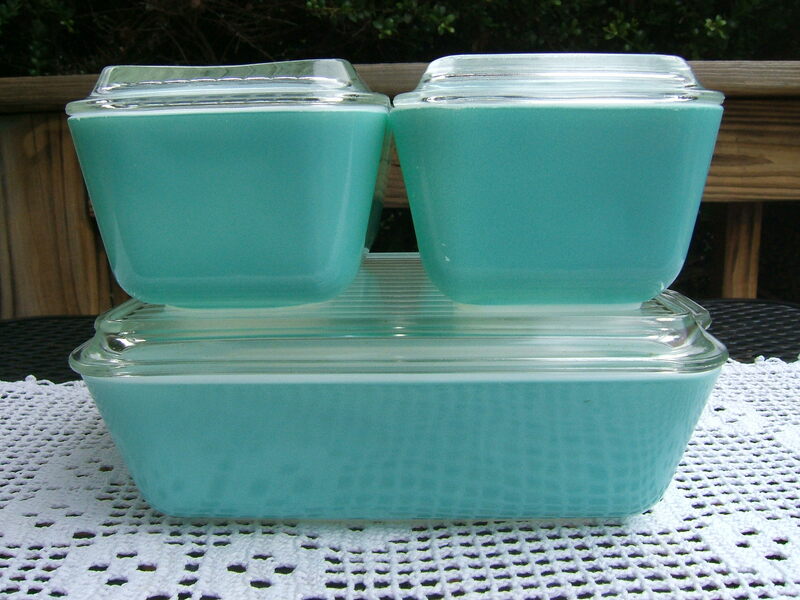 Wow Tammy, you found some wonderful Pyrex pieces! they look to be in great condition too! Thank you for sharing at TTF this week!